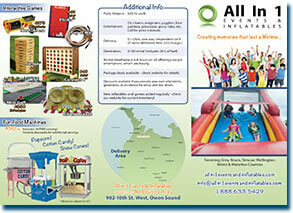 Ontario Carnival Game Rentals for parties & events! 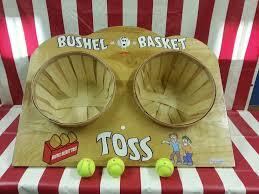 Carnival games are a great way to add an extra element of fun to your event! All games pictured are TSSA-registered, where necessary, making them suitable for use at private residences as well as school, public, or corporate events. All games can be used by both adults and children unless specified otherwise. Package deals available - contact us for details. 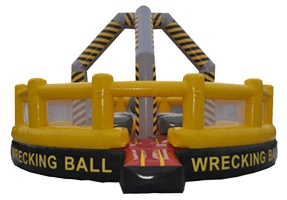 Wrecking Ball Arena - NEW for 2018! Use the hanging "wrecking ball" to try to knock other players off their platforms. Accommodates 2-4 players or 1200 lbs. Have up to three people playing at once to test their skill at football, soccer & basketball. This "rock wall" provides climbing space for up to three people at once and a soft landing, too! 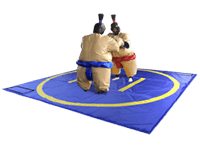 Fun, inflatable "sumo" suits provide entertainment for those participating and watching, alike! Adult sizing only. 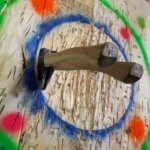 Axe Throwing packages are fully insured, equipped and includes an attendant for your event. 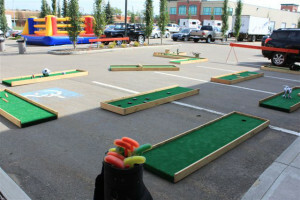 Knock the other player off of their "stand" using an inflatable jousting stick in this 19-ft ring! Energetic fun for two players at a time. 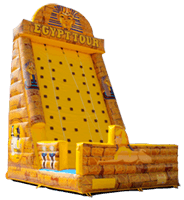 Bungee Run & Gladiator Joust - NEW for 2018! 2 games in 1! 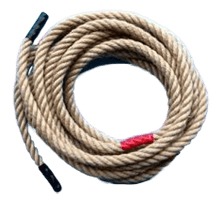 Bungee cords provide fun resistance for up to two players while they attempt to run to the other end OR have two players try to knock each other off the pedestals using the inflated jousting sticks! Drop your "coins" and see where they land to test your luck! The classic game - in giant size! Line up four pieces in your colour to win. This "arena" can be set up in varying configurations to accommodate the space and your own obstacles. Fun for up to 25-30 players at once! Price includes one staff member for 6 hours. 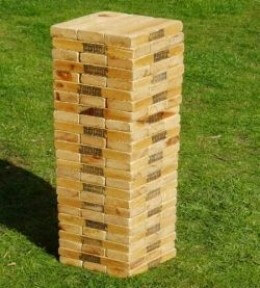 In this oversized version of the table-top game, you need a steady hand to pull bricks from anywhere in the stack and place them on the top. 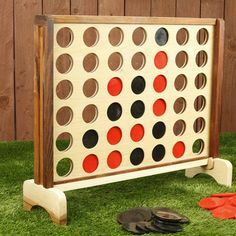 Don't be the one to knock it over or you lose the game! Get a couple teams together and pit strength and strategy against one another. A fun team activity! Perfect your technique to get as many tennis balls to stay in the bucket as possible! Nine holes of mini golfing fun for all ages. 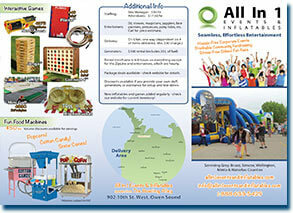 Challenging obstacles and amazing competition - a great addition to any party, event or company picnic. 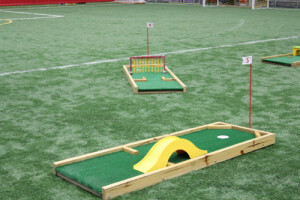 Choose one or more holes to design your own mini golf course! Fun for all ages. (Discount for 9 holes - see left).